Yelp Ranks Pittsburgh as a Top 10 Foodie City & Burgatory as Top Recommended Spot! Pittsburgh Magazine Tries Impossible 2.0 @ Burgatory! Check out what Hal B. Klein, Pittsburgh Magazine’s Dining Critic, thought of the new & improved Impossible Burger. Travel Channel Names Burgatory Best Burger in PA! The NEW NEW Impossible Burger is now available at ALL Burgatory spots! 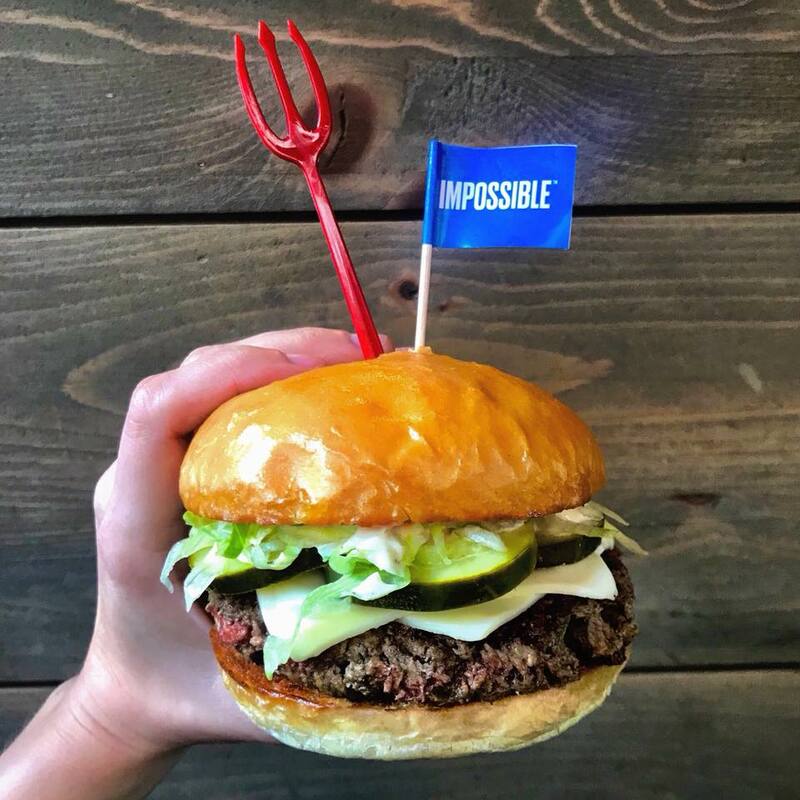 Pat Brown, CEO of Impossible Foods said, “The original recipe was great. The new one will blow people’s minds.” We could not agree more! Learn more about the new & improved recipe here. Rudolph's Peppermint Bark Shake Returns! For more details on this adorable shake, check out Good Food Pittsburgh’s write up! Our epic annual Thanksgiving Burger & Pumpkin Pie Shakes are back! Get in the holiday spirit early! Our Thanksgiving Burger & Pumpkin Pie Shake specials are available through November 25, 2018. 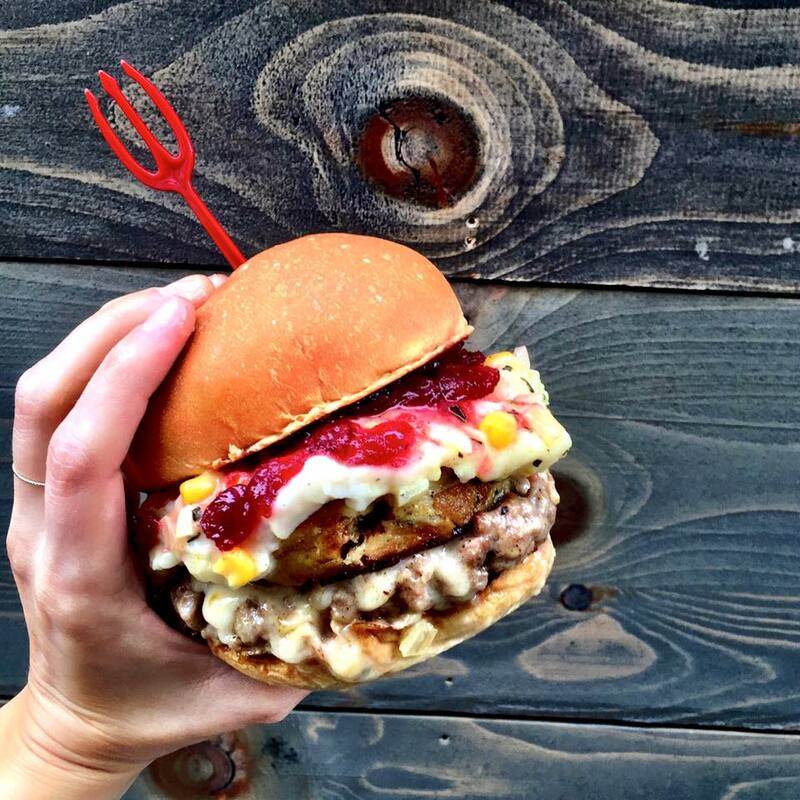 Our Thanksgiving Burger features Garlic Crusted All Natural Turkey, Farmhouse Cheddar Cheese, Mashed Potatoes, Stuffing, Corn Gravy & Cranberry Jam. Pumpkin Pie Shakes are made with House-Turned Vanilla Bean Ice Cream & House Made Pumpkin Pie topped with Whipped Cream & Caramel Sauce. TripAdvisor Names Burgatory Best Burger in the State! Burgatory named Best Burger in the 'Burgh...again! "As often as the Steelers have won the Super Bowl is how many times this patty place has won Best Burger." Check out the full article here. Thanksgiving Burger returns November 13th! Our Thanksgiving Burger returns November 13th through 26th! The Burger will feature Garlic Crusted Hormone & Antibiotic Free Turkey from Sensenig Farms in Lancaster, PA. We're topping each burger with Farmhouse Cheddar, Mashed Potatoes, Stuffing, Corn Gravy & Cranberry Jam. Pumpkin Pie Shakes, both regular and vegan, will be available from November 13th through 26th too! All burger, no beef. Meet the Impossible Burger! The Impossible Burger will be offered at all full-service Burgatory locations starting on Monday, October 2nd! Check out Pittsburgh Magazine's write up on the burger here. Cosmopolitan lists our Unicorn Shake as a must have milkshake! Check out the other shakes worth adding to your bucket list here. BuzzFeed lists our S'mores Shake as one of the 26 desserts you need to try before you die. Cheers to that. Check out the full list here. The Unicorn Shake RETURNS Thursday, March 30th through Sunday, April 2nd! Happy National Margarita Day! We'll be celebrating all day long with Mike's Scratch Margarita. Burgatory Partners with Greater Pittsburgh Community Food Bank for #FEEDuary! All February, Burgatory will be shining a light on the incredible efforts of Greater Pittsburgh Community Food Bank while donating one meal each time a burger is served. Every time we serve a burger, a neighbor facing hunger will receive a meal. It’s as simple as that. Our mission is to raise awareness and contribute more than 50,000 meals by the end of the month. Please spread the word and help us achieve our goal!